Q’s finest moment probably came with the heavy duty burden of the opening lines of a brand new Bond’s debut, “I’ve been saying for years sir, some of our special equipment is obsolete. And now, computer analysis reveals an entirely new approach – miniaturisation. But no, we didn’t. Lazenby was scheduled to be a fighting man’s James Bond - Who falls in love for the only time. Gadgets would be few and far between in this film. However, to deal with the Radioactive Lint issue. The idea of the Lint is that you place it on a subject's clothing and you will be able to track that person. A sort of GPS, if you will. According to Q, "Placed in an opponent's pocket, the location fix and anti-personnel uses should be obvious." Unfortunately, not to us Q. It has been reported that the Director of the film, Peter Hunt, was not a fan of the reliance of gadgets in the story telling process of the last couple of James Bond films. This is perhaps confirmed by the distinct lack of gadgetry in this film. It could also be argued that the very sillyness of this particular device perhaps bears this out. It would be wonderful if it existed, not least because 007 would be able to disguise it as belly-button fluff and keep a check on the whereabouts of all his 'girls', but sadly it doesn't. Sadly, for the humble fluff an enemy exists far too powerful for it to resist. Mwahahaha. 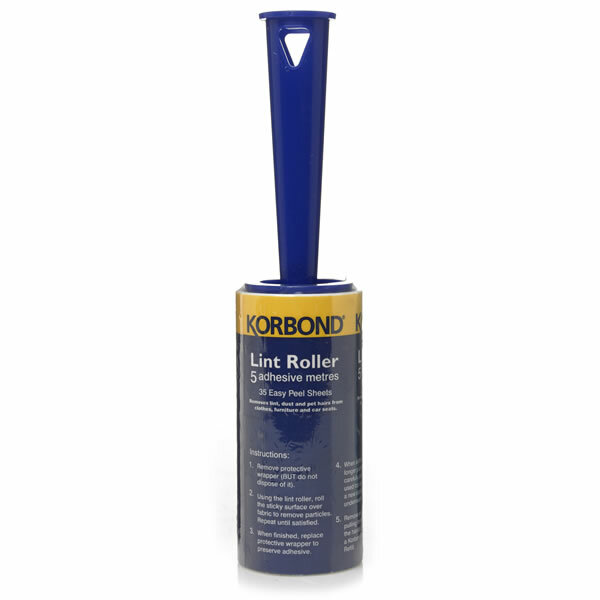 The sticky sided Lint Roller - No, please don't kill me, aaaah.